If your workplace discriminates against you based on your natural hairstyle, is that a form of racial discrimination? Chastity Jones felt like it was when her offer of employment was rescinded based on the fact that she wouldn't cut her dreadlocks. The employer, Catastrophe Management Solutions, felt that its grooming policy was race-neutral and she disagreed, taking the matter to the Equal Employment Opportunity Commission (EEOC). The EEOC filed suit on behalf of Jones, and according to court documents they alleged that Catastrophe Management Solutions' conduct "constituted discrimination on the basis of Ms. Jones’ race in violation of Title VII of the Civil Rights Act of 1964." 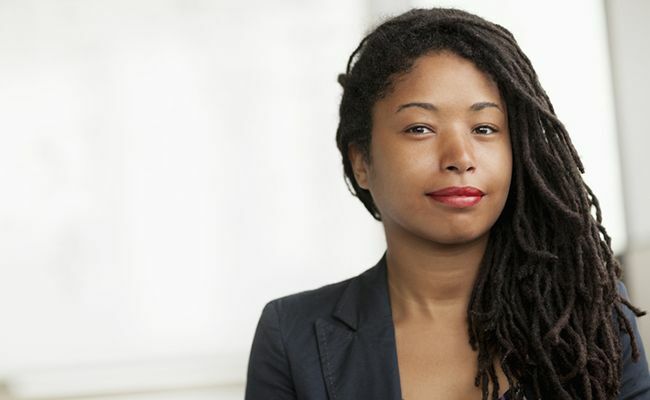 On September 15, 2016 the United States Court of Appeals for the Eleventh Circuit ruled against the claim, on the basis that while dreadlocks may be culturally associated with race, they are not an "immutable characteristic of black persons." In other words, you can't change your skin color, but you can change your hairstyle. They went on to explain that while Title VII prohibits discrimination based on immutable characteristics like race, color or natural origin, a hairstyle, "
What does a business/professional image look like in 2016? It's a question that our community members are talking about every day in our comments sections and Facebook feed. These "neutral" policies affect women starting at a young age in school and follow them all the way through their professional lives. You can hear about the impacts on young girls from Butler High School in Louisiana to Pretoria Girls High in South Africa, and that's only because these girls stood up and were vocal about how policies were affecting them. But we know all too well that the effects don't stop there. They live on in the silent doubts that women ask themselves every morning when they get ready for work and school. They inevitably affect the confidence women have when presenting themselves or taking risks in the workplace. As Renee Murphy, a news reporter on WHAS 11 said in a recent segment featured on ABC Nightline, "I talk to my friends about natural hair, we literally talk about natural hair every single day, I thought about coming to work several times with it out but have always decided against it. Would it be too much? But really, what is too much?" With this latest ruling, it would appear that dreadlocks are still too much, and natural hair is still a "mutable characteristic." NaturallyCurly World, weigh in. Have you ever been discriminated on because of your natural hair in your workplace? Share your stories below.